How to make a kissing card (step by step) guideline. Cutting a paper (main cover) we shows in the video. Making the lip using the paper. This is the most complex part of this video. You need to watch this part carefully in this video. Carefully watching every part how we arrange and adding it. After you use a color pen, (red, green, yellow, dark) whatever you wish to use. Writing the text what is inside the card cover. Then fold it and all is done. Enjoy your kissing lips Valentines day card. Color pencil for writing text. Scissor for cutting the paper exactly. Glue. Of curse use a better glue. Its attach the all the part with our cover. Where I get all of this Item? 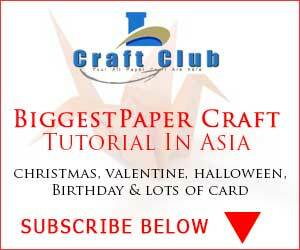 For making this card easily, Linas craft club always help to find all the elements with best price and better one. As customer review, we find the best products from online. And here is the amazon link, you buy it without any hesitate. Its very cheap rate and if you live in USA, you get your products in free shipping. Some of venture / products owner provide free shipping all over the world.